With the increasing popularity of perforated metal, the demand to add visual interest and strength has led many to request deep texturing. Deep-textured perforated metal meets the demands of acoustics, while enhancing the visual interest that only metal can deliver. The enhanced look with the texture creates a softer glow and specular reflections. When panel systems are desired, attachment systems can be added without compromising acoustic performance or visual appeal for both ceilings and walls. Mey Ray of ASSA ABLOY, speaks to the importance of hardening the building envelope in K-12 facilities. ASSA ABLOY's Attack Resistant Door Opening with School Guard Glass can provide first responders the time needed to arrive on the scene. So why choose Enduramax™ for for your next masonry project? The advanateges speak for themselves. 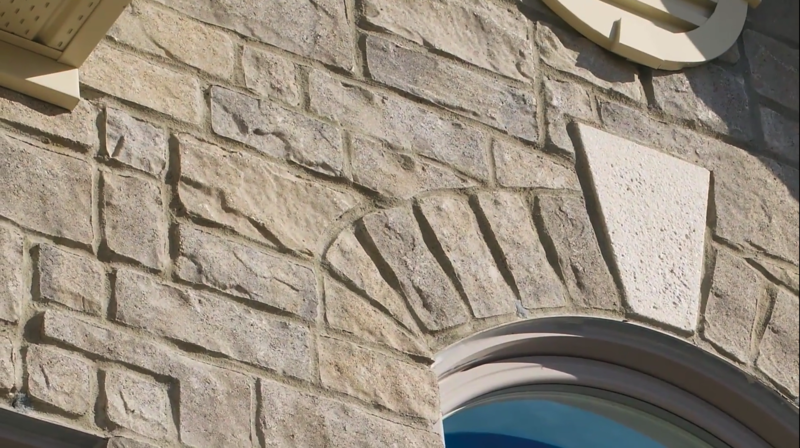 Easy to assemble foam molded panels, integrated drainage channels to remove excess moisture from behind the stone, enhanced insulation and thermal properties along consistent, repeatable mortar joints. With a little training, most any contractor can add the beauty of stone and brick surfaces to their capabilities portfolio.